“The American Dream starts with a happy, healthy childhood,” said Dan Duffy, President and CEO of PCA America. Prevent Child Abuse America (PCA America) announced today that the Healthy Families America (HFA) affiliate, Healthy Families Frederick (a program of the Mental Health Association of Frederick County) has been accredited as a provider of high quality home visiting services to families who want to improve their child’s health, nutrition and developmental outcomes. HFA is a signature program of PCA America that has been providing home visiting services for more than 20 years. Expectant and new parents have common questions about their child’s development. HFA connects with families through community partners like hospitals and pediatricians to find the answers to their questions, meeting within the familiarity and convenience of the family’s own home. HFA is an accessible, voluntary and well received service. The accreditation process is based upon a stringent set of 12 critical elements grounded in more than 30 years of research. The process involves an in-depth examination of the site’s operation, as well as, the quality of the visits made by HFA home visitors. The HFA site in Frederick is located at the Mental Health Association’s main office at 226 S. Jefferson St.
“The Family Partnership has had a relationship with Healthy Families Frederick since in 1988. We’ve also been a member of their Advisory Board for many years and have referred first-time parents to their program for intensive home based services and support. I have found the Healthy Families program and staff to be of great assistance to the families of Frederick. They have been thoroughly trained and are very involved in this community,” says Shelly Toms, Director of the Family Partnership of Frederick. Home visitors in each community receive extensive training in a wide range of areas that can cause stress and worry to just about every new parent: caring for a new baby, ensuring the baby is receiving the nutrition needed, promoting healthy child development and coping with a myriad of other potential stresses, such as financial, housing, partner relationship, etc., that may become heightened with an addition to the family. Healthy Families America is an effective and proven evidence-based home visiting program according the U.S. Department of Health & Human Services. PCA America is proud to support HFA and to be part of a national coalition of organizations dedicated to improving the home visiting field. 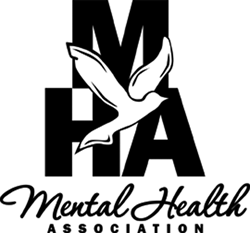 The Mental Health Association of Frederick County has served the community as a private, non-profit organization since 1965. MHA strives to build a strong foundation of emotional wellness for our whole community by preparing resilient children, securing vulnerable families and standing with people to face crises together. For additional information, please visit http://www.fcmha.org or call 301-663-0011.